Giant Posable Halloween Spider by Audrey2 is licensed under the Creative Commons - Attribution - Non-Commercial license. A giant spider I modelled up for a Halloween decoration. There is a hole in the thorax to let you put through a zip tie or string to mount the spider on a fence for decoration, or incorporate into a really scary costume! The legs are posable, allowing you to position your spider exactly as you want! The tolerances are forgiving, letting you print a little bit smaller if you need, or as big as you want! The spider was loosely based on the Orb Weaver known as eriophora transmarina, but in the Halloween spirit, I made the features all a bit more scary, even incorporating a hint of a haunted pumpkin face into the back of the abdomen. Only the thorax and abdomen need support. You can print the legs without support. Print eight sets of the leg. 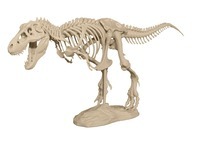 If you're feeling brave, you can print the model with no infill, and an extra thick wall. Say thanks by giving Audrey2 a tip and help them continue to share amazing Things with the Thingiverse community. 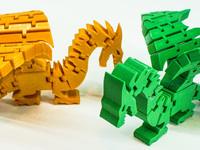 Say thanks and help Audrey2 continue to share amazing Things with the Thingiverse community. You'll need a PayPal account to tip Audrey2. Click the button below and you will be redirected to PayPal. Once the payment is complete, you'll be brought back to Thingiverse.